Ambergris Caye has a remarkably interesting history that has affected its culture to this day. From the days of the ancient Maya to the post-colonial culture that has been flourishing ever since, you can still see the leftover pieces of antiquity that have led to the beautiful and opulent island paradise that is Ambergris Caye, Belize. Belize's Ambergris Caye has had a long, fascinating history going back thousands of years. During that time, the Mayans were the dominant civilization on that part of the continent, and you can still see artifacts of their civilization to this day. 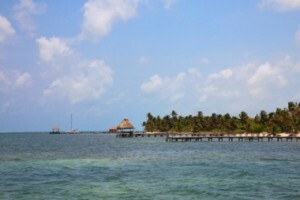 It is believed that they used Ambergris Caye as a stopping point in trade deals between what is now Belize and what was Mexico, which is the reason why they dug out what would later be called the Bacalar Chico channel. This is still in use today as a marine reserve. Eventually, Spanish conquistadors arrived and were absolutely astounded by what they saw as an easy life lived by the natives. They were able to farm for half of the year and produce enough food to feed themselves with leftover trade items as well. In fact, they had 22 official celebrations annually! For half of every year, the natives of Ambergris Caye were able to pursue their own interests, which included exploring, spending time in the water, sports and other activities that tourists and residents actually enjoy today. Eventually pirates were the biggest visitors to Ambergris Caye, using it to hide themselves and their stolen goods where very few people would be able to find them. Moreover, they dredged the Bacalar Chico to make it easier to move those goods to mainland Belize. Finally, English settlement began, and this had an enormous impact on the local residents who were pressed into adopting English ways of life and methods. The island itself was bought by an agricultural company that used it to grow primarily Sea Island Cotton. There was a dispute between the British and the Mexicans over ownership of the island that eventually ended in its remaining in private hands. Several Yucatan refugees who settled with the English started the multicultural blending that we're familiar with now. This rich and interesting history has made it possible to enjoy Ambergris Caye in Belize even more today. It laid the groundwork for the engaging and exciting island full of new things to explore, activities to take part in and adventures to be had. Ambergris Caye is now known as a center for recreation where you can enjoy fine dining, gorgeous beaches, beautiful natural land and seascapes, and one of the most diverse cultures on the planet. It's an island that has welcomed dozens of people who have all put their mark on it, leaving us with one of the best destinations in the world.